Each month, David provides in-depth analysis of two to four funds, continuing a FundAlarm tradition. 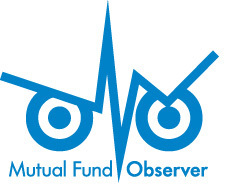 Today, more than 75 profiles are available on MFO Funds index page. Most are quite current, but a few date back, under “Archives of FundAlarm,” so reference appropriately. This month we roll out a new summary or “dashboard” of the many profiled funds. It’s intended to help identify funds of interest, so that readers can better scroll the index to retrieve in-depth profiles. For each fund, the dashboard identifies current investment style or category as defined by Morningstar, date (month/year) of latest profile published, fund inception date (from first whole month), and latest 12-month yield percentage, as applicable. Risk group is also identified, consistent with latest MFO rating. In the dashboard, funds with lowest risk will generally be at top of list, while those with highest risk will be at bottom, agnostic of M* category. Probably good to insert a gentle reminder here that risk ratings can get elevated, temporarily at least, when funds hit a rough patch, like recently with some bond and all-asset funds. The dashboard also depicts fund absolute return relative to cash (90-day T-Bill), bonds (US Aggregate TR), and stocks (S&P 500 TR), again agnostic of M* category. If a fund’s return from inception through the latest quarter exceeds any of these indices, “Return Beats…” column will be shaded appropriately. The Enhanced Strategy column alerts readers of a fund’s use of leverage or hedge via short positions, or if a fund holds any derivatives, like swaps or futures. If so, regardless of how small, the column will show “Yes.” It’s what David calls a kind of complexity flag. This assessment is strictly numerical using latest portfolio allocations from Morningstar’s database in Steele Mutual Fund Expert. Finally, the column entitled “David’s Take” is a one-word summary of how each fund was characterized in its profile. Since David tends to only profile funds that have promising or at least intriguing strategies, most of these are positive. But every now and then, the review is skeptical (negative) or neutral (mixed). This entry was posted in Charles on August 1, 2013 by Charles Boccadoro.